Wholesale Pricing Save $110.78 on 25 pieces. 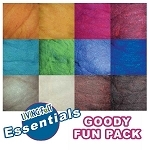 Our Earth Harmony Series Needle Felting Foam! Good for you and good for the EARTH! 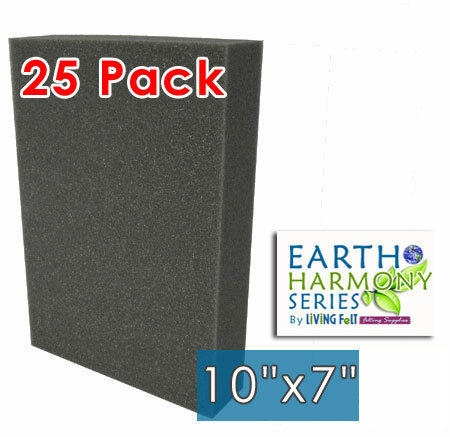 This exceptional quality long lasting foam block will give you a very firm work surface that will last and last! 10"x 7"x1.5" MEDIUM RECTANGLE - makes a wonderful work surface or foam form for needle felting a medium to small purse. What makes our Earth Harmony Foam so special? polyurethane foams. The eco materials include soy and other products grown by U.S. Farmers (good for them AND their families), this foam is much denser than our previous petro-based foams which gives you a nice FIRM felting surface, Its color allows it to hold up longer than white foams that tend to age in sunlight, it is made without any harmful CFCs and the manufacturing process uses less energy than traditional foams. 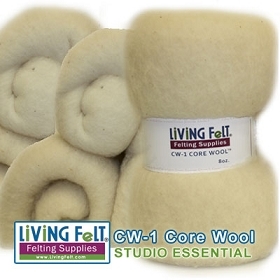 All in All -- the Living Felt Earth Harmony Foam stacks up to wonderful needle felting results for you & the planet! *Wholesale Promo Not Valid W/ Any Other Promotion.